We are a small Community Hall based in the heart of Popley West, Basingstoke, Hampshire. We are a not for profit registered charity. Our aim is to serve our local community by way of providing an affordable indoor hire space, as well as running groups for the local community for the advancement of education and social welfare with the object of improving the conditions of life for local residents. 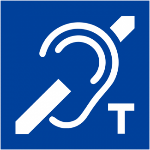 Our building is fully accessible with a Hearing induction loop system for the hard of hearing. There is plenty of free parking to the front of the building including disabled spaces. The hall can be hired for regular groups or occasional parties, see the hire page for more details. We are also the local Poling station.